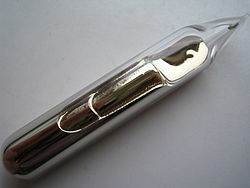 Caesium he yit-chúng fa-ho̍k ngièn-su, fa-ho̍k fù-ho vì Cs, ngièn-chṳ́ su-muk he 55. ↑ Dye, J. L. (1979). "Compounds of Alkali Metal Anions". Angewandte Chemie International Edition 18 (8): 587–598. doi:10.1002/anie.197905871. Liá-chak ya̍p-mien chui-khiûn siû-thin yî 8 Liuk-ngie̍t 2018 16:10.